It's Wiebke here today! 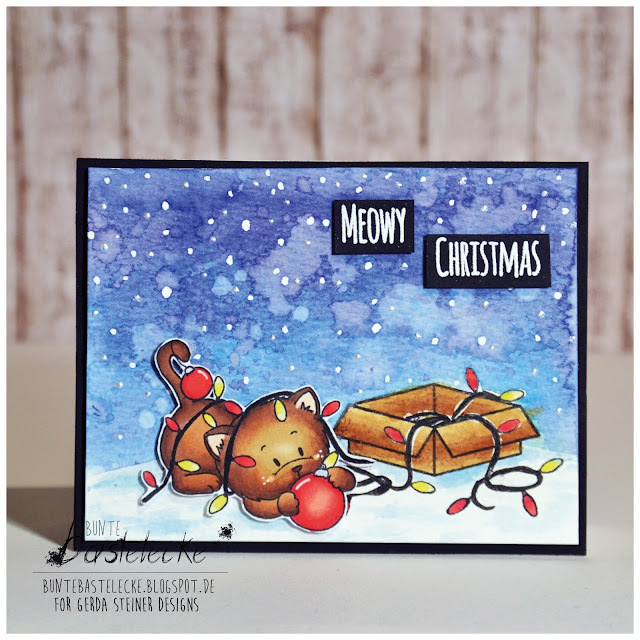 :) I want to share with you a christmas card using Gerda Steiner Designs newest Deck the Halls stamp set with the cute little kitty! Yes, I know! It's maybe a bit too early for christmas cards, but it was so cold lately here in Germany.. the atmosphere was almost perfect. And there are so dang cute new christmas sets out there! Be prepared for lots of great inspiration coming up! I decided on giving the cute kitty a carton where he might have stolen all of the lights from. 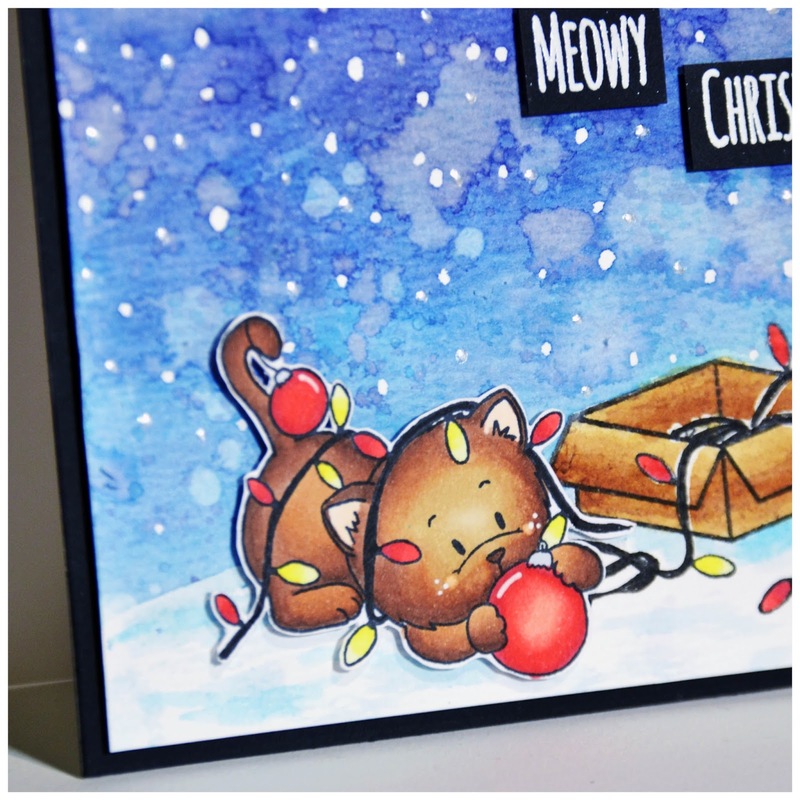 And I think the sentiment "Meowy Christmas" is absolutely cute!